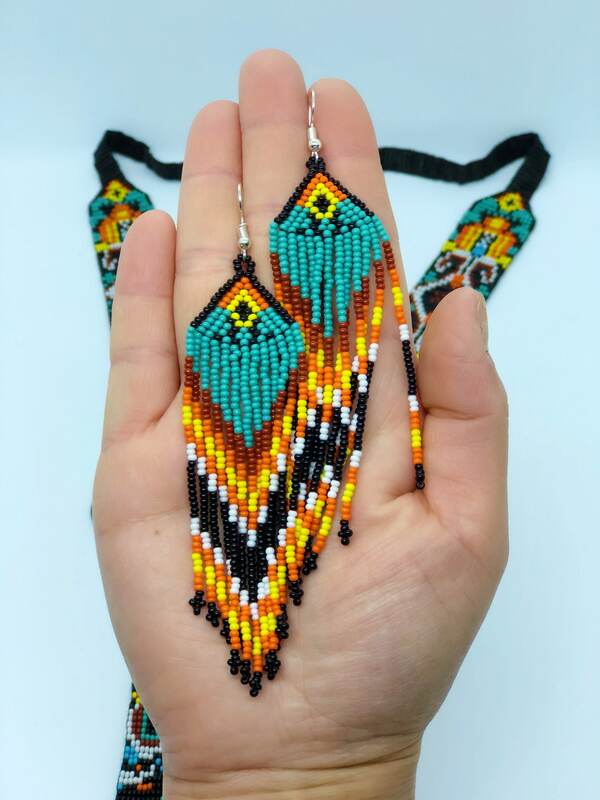 Handmade beaded necklace and earrings set. 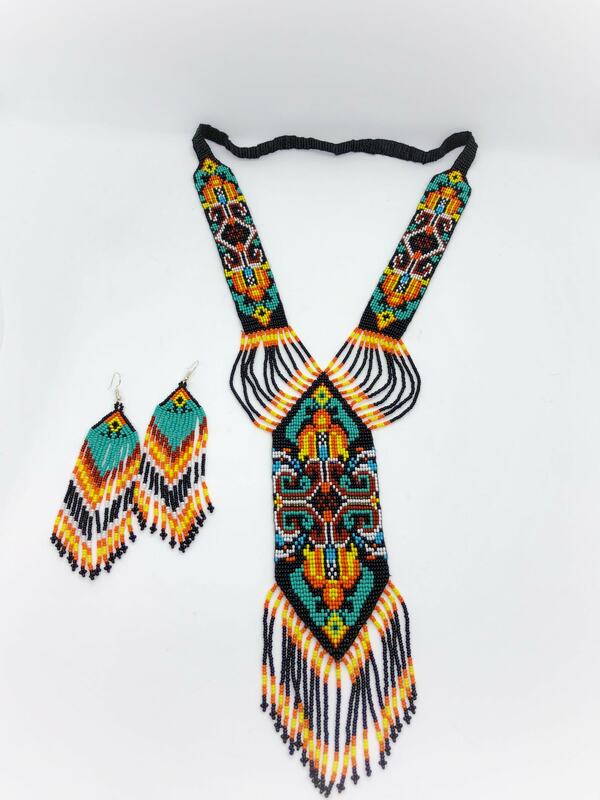 Necklace is 34” in total beaded length and hangs to mid torso. 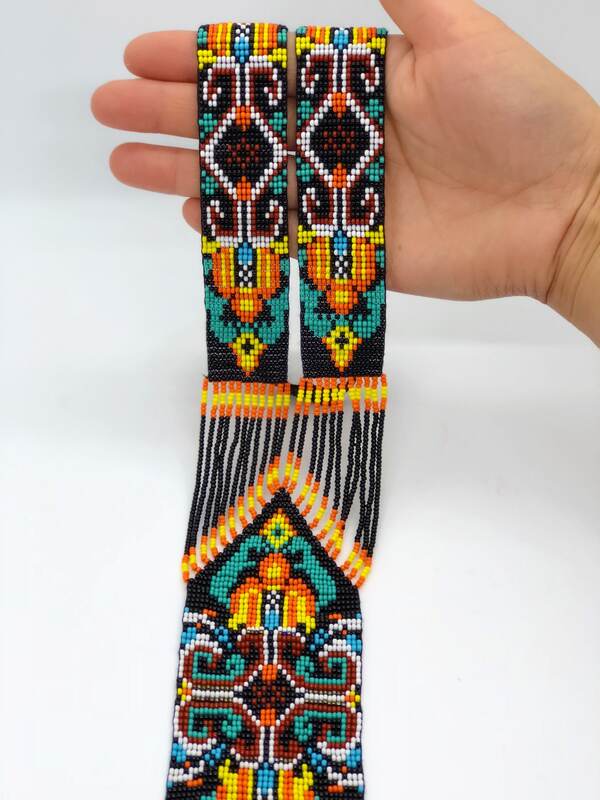 Comfortable beaded neck strap. Earrings are 4” long by 1” wide.